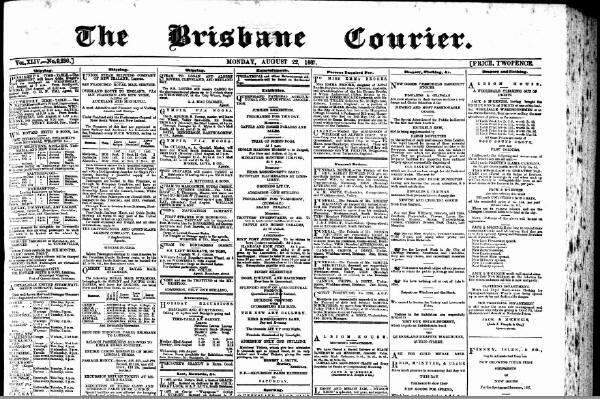 This is a PDF copy of the newspaper printed on the day that Wilhelm, Wilhemina and their young family arrived in Brisbane aboard the ship "RMS Bulimba". A mention of the ships arrival is listed on page 4 column 1. Details of the voyage can be found in the following days edition of the news paper which is also attached to this page. Read about what was newsworthy and what was happening in Brisbane in 1887 and get a feel of how daunting it must have been for the Bottchers. 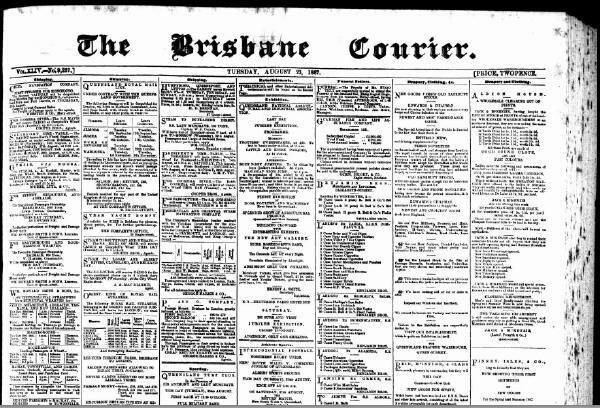 This Pdf copy of the newspaper has the voyage of the RMS Bulimba printed on page 4 Column 1 (arrival) and page 4 column 3 (the voyage). It describes the journey from England to Brisbane. Read the newspaper and get a feel what Brisbane was like in 1887. Queensland Assisted Immigration 1848-1912 - Ship Bulimba - Passengers Wilhelm Bottcher and Family. Wilhelm, accompanied by his wife Wilhelmine, children Marie, Hans, Wilhelm and Rudolph, sailed from London, England, aboard the ship Bulimba, departing 28th June 1887 and arrived at Brisbane, Queensland, Australia on 22nd August 1887. This is the full passenger list of the Ship Bulimba including all its 1887 voyages from London England to Brisbane Queensland, Australia. The voyage that included Wilhelm Bottcher and his family, 28th June 1887 to 22 August 1887 starts on page 198 of the register and the family are located on page 212.